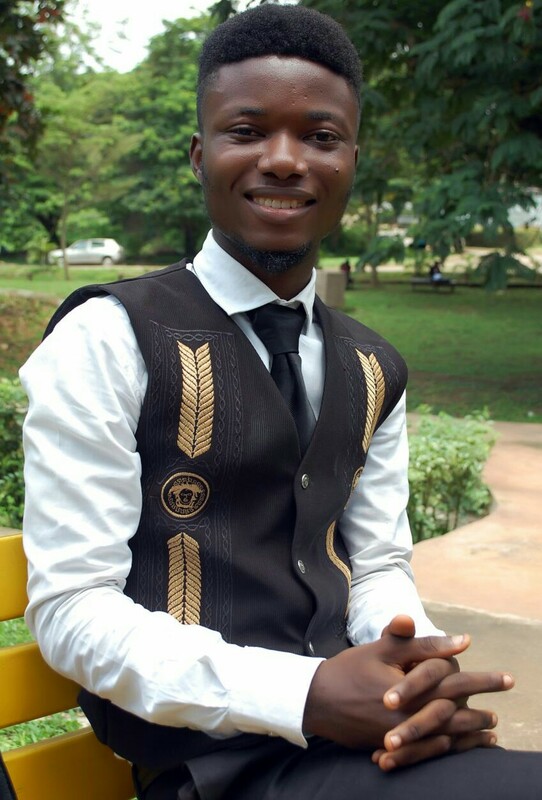 Ajeboriogbon Titilope is a student of the department of European studies, German unit in the University of Ibadan. Here his what he has to say concerning Nigeria and Nigerians. It was Francois Marie Arouet that said: “nothing can be more contrary to religion and the clergy than reason and common sense.” The quote acknowledges and places more premium on clear-thinking, facts, reasons, and common sense, as against viewing every issue from a spiritual prism . It is a well known statement that Nigeria is one of the most religious country in the world. We parade some of the biggest worshipping auditorium in the world, virtually every street in the country has one religious house or the other, and we flaunt some of the richest clergyman in the world. In fact, the Nigeria religion industry is a multi-billionaire venture. Inversely proportional to the pace of social and economical development in the country. According to a recent report in Vanguard Newspaper, the Vice-president of the country, Prof. Yemi Osinbajo stated that over 110 millionaire Nigerians still live below poverty line despite the policies of the last governments to improve their welfare. It may interest us to know that those living below the poverty line are considered as the most religious set of people in the country. In a country where basic societal problems such as electricity; healthcare facilities; good roads and quality education are taken to God in prayer, the connection between religion, societal development and poverty is worth analysing more closely. Why do most poor people cling to religion? Why are poor nations one of the most religious in the world ? The answer is obvious and glaring; when you are in so much pain and you desperately want the pain to stop, you will take painkillers. Poverty is pain, to some, religion is an excuse for poverty. The poor rely on religion for comfort. Across the world- and especially in Africa, the most impoverished people are often told their reward is in heaven and that they should be thankful for being alive. Thus, the poor embrace religion as a way to handle the plight they have no power to escape. Apart from the Buddhists and the doctrines they practise, I’m not in the know of any set of religious people who are happy of being poor- bringing to mind the sore relationship between happiness and poverty, which explains why people want to pray away poverty. Most people only pray over the uncertainties in life, we pray for things we have control over. Also, the kind of prayers that emanates from the speakers of our religious houses questions the Intelligence Quotient of its followers. It is as well a truism that people with low Intelligence Quotient have less understanding of reality, they face more uncertainties and have less control of their lives. These means the underclass are more religious than the wealthy and intelligent people. As a result, the more the population of the underclass in a nation, the poorer the nation gets, and the more religious the nation is, the more it gets exploited by the clergymen. As reported in a 2010 Gallup poll of 100 countries, the data unfolds a substantial, positive correlation between strict adherence to religion and privations. In the same vein, an independent study by Dr. Tom Rees, published in the Journal of Religion and Society, proved that in places without strong social safety nets to provide people with opportunities for upward mobility, they are more likely to be religious. When suffering becomes a constant in the lives of people, they are easily consoled by visions of the apocalypse, judgement, punishment and hell. Poverty,deprivation and suffering often leads to consolatory beliefs that the world will soon end, with God rewarding the faithful with everlasting life where there is no want, no toils and tribulations. The doom and gloom predictions of the rapture and the trials and tribulations that humanity will face, as found in Christian and Muslim fundamentalism, is thus made popular. The scenario helps perpetuate suffering by attributing a higher purpose to human pain and suffering as part of God’s grand plan for His chosen. Furthermore, we find it difficult to separate physical issues from spiritual issues. Even when it is very obvious that such problems could be physical or even self-induced. Too much emphasis on religion has made Nigerians believe that every problem is spiritual and thus needs a spiritual solution. Some problems in life just require us to be pragmatic, logical and taking the right decisions at the right time. We must not make every problem seem spiritual. Some problems just require we correct our past mistakes, take decisions that can better the situation and act right. brain to solve our problems plus the freewill and the ability to know what’s right and what’s not. Switzerland, Denmark, Sweden, Norway, Malaysia, Singapore, Canada, etc have better economies and social systems than our country. Does it mean the citizens call on God more than we do? If we have been calling on God and it seems He’s not answering us, we should know that He wants us to use the brain He has given us to solve the problems. In conclusion, we should excuse religious superstition for pragmaticism by taking charge of our lives, mental laziness for logic and reasoning, and eschew the mentality of all problems being something spiritual. Our personal development and the development of the country lies in how we put our God given resources and ability into effective and efficient use. Previous articleSEE WHAT MAKES YOU CRY WHILE CUTTING ONIONS AND HOW TO PREVENT THE TEARS.